Wir blieben zu Beginn und am Ende unserer Fahrradtour für insgesamt 3 Nächte im Hostel. Das Personal ist sehr hilfsbereit, immer verfügbar bei Fragen und nett!!!! Für uns wurde am Bahnhof angerufen, ein Taxi organisiert usw. Wirklich toll!!! Sauberkeit, Frühstück, alles super!!! Frisches Wasser wird für umsonst bereitgestellt, was wirklich ein toller Service ist! Unsere Kartons konnten wir bis zur Abreise dort lagern :) Super zentrales, nettes Hostel!!!! Freshly cooked breakfast, superfast WiFi, helpful staff. Just know that there was only one socket per room, so better bring a dispatcher. Very friendly people, homey atmosphere and great ambiente! Very central and clean Hostel. Staff is very helpful but also stay rather to themselves. Everything was very satisfying. Friendly stuff, clean facilities, good breakfast and good location. The stuff doesn‘t know a lot about sightseeings and the suroundings of Bishkek. Just ask other tourists. 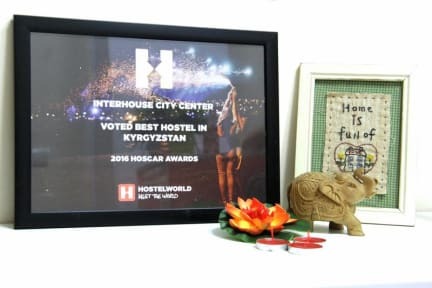 In general the hostel is good. You get breakfast and if the nights are cold you can get a good blanket. Kimbat is really good host. Unfortunately, she left the hostel. The other girl is not really friendly and knowledgeable. The facilities are clean. The breakfast is good. I can‘t understand why this hostel has so many positive reviews. 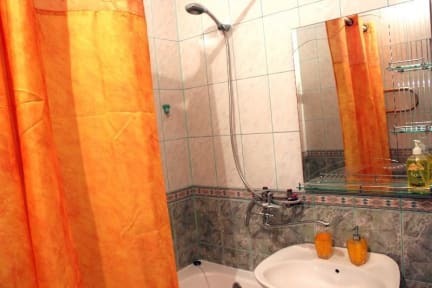 The facilities and the location are good, yes, but the staff is not really nice. Actually it was inacceptable. They are all the time telling you what to do or what not do („don‘t put your bags there“, don‘t use so much water“, you can‘t wash that there“ etc. i felt like a little child. Also there is no privacy in the female room. The staff would just walk in whenever they like (even at 1 o clock in the night to do laundry!! ).